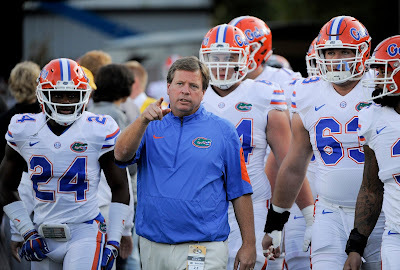 Shirts With Random Triangles: Florida Declares Itself A Team On The Rise In New Hype Video. Florida Declares Itself A Team On The Rise In New Hype Video. It's hard to keep up with all the hype videos sometimes. This one was released by Florida on Wednesday, hyping the Gators as a team "On the Rise" following a surprisingly successful 2015 season. Florida's annual Orange & Blue Debut spring game will be held at Ben Hill Griffin Stadium on April 8.